Over two years ago, the Occupational Safety and Health Administration (“OSHA”) issued one of the most significant health standards ever promulgated by the Agency. Published on March 25, 2016, the Occupational Exposure to Respirable Crystalline Silica final rule (the “rule,” or the “standard”) is designed to reduce exposures to silica in construction, general industry, and maritime workplaces. After publication of the rule, numerous organizations challenged it in various federal courts of appeals, citing concerns over OSHA’s health effects and risk analyses, technological and economic feasibility analyses, and the reasonableness of several ancillary provisions in the rule such as medical surveillance and the prohibition on dry sweeping and dry brushing. Those challenges were consolidated for review in the U.S. Court of Appeals for the D.C. Circuit, and after the case had been fully briefed, a three-judge panel was selected to decide the petitions. On December 22, 2017, the D.C. Circuit denied several of the challenges to the rule. In a 60-page decision, the court stated that the industry presented plausible alternatives to the final rule, but ultimately the court deferred to the Agency’s decision-making. For mason contractors, the decision of the D.C. Circuit means that, for all intents and purposes, the crystalline silica rule is here to stay. Enforcement of the rule in construction has begun, although the pace of enforcement is still slow. The time is now for mason contractors to be fully prepared or risk an OSHA inspection and possible citation. The respirable crystalline silica rule is a comprehensive health standard. It significantly reduces the Permissible Exposure Limit (“PEL”) for crystalline silica and requires construction employers to implement engineering and work practice controls and follow several other ancillary provisions, such as medical surveillance, a written exposure control plan, and housekeeping practices. The standard sets a PEL of 50 μg/m3(from the previous PEL of approximately 250 μg/m3) measured as an eight-hour time- weighted average (“TWA”). If workers are exposed to crystalline silica above the new PEL, employers must implement engineering controls to reduce exposures to below that level, before using respiratory protection. In other words, if workers are exposed above the PEL, employers must investigate and implement engineering solutions (such as wet methods, vacuums, shrouds, enclosures, or cabs) to reach levels below the PEL. Employers are not permitted to rely on respiratory protection to protect employees. Designate a competent person to implement the written exposure control planby making frequent and regular inspections of job sites, materials, and equipment. Prohibit dry sweeping and dry brushing where such activities could contribute to employee exposure to respirable crystalline silica unless wet sweeping, HEPA-filtered vacuuming or other methods that minimize the likelihood of exposure are not feasible. Offer medical examinations at no charge to employees—including chest X-rays and lung function tests—initially (if not received within the last three years by another employer) and every three years for workers who are required by the standard to wear a respirator for 30 or more days per year. In the standard, OSHA is also restricting the information that employers are permitted to receive regarding an employee’s medical condition. Unless the employer receives written authorization from an employee, the employer is only allowed to receive information regarding a medical examination that includes the date of the examination, a statement that the examination complied with the requirements of the standard, and any recommended limitations on the employee’s use of respiratory protection. OSHA also has implemented a unique, alternative approach to compliance with the revised PEL and exposure monitoring requirements for construction employers. Construction industry employers are exempt from meeting the PEL and performing exposure monitoring to crystalline silica if they comply with the specific engineering controls, work practices and respirator use outlined in “Table 1” of the standard. Table 1 identifies 18 construction tasks that could generate exposures to respirable crystalline silica and for each task, specifies engineering controls, work practice controls, and respiratory protection to protect workers. On October 19, 2017, OSHA published a memorandum setting forth interim guidance to compliance officers for enforcing the rule on construction worksites. The memorandum states that compliance officers should be prepared to collect personal breathing zone samples on the first day of the inspection. In addition, compliance officers are directed to review the employer’s written exposure control plan and other relevant programs (e.g., respiratory protection program, hazard communication program, etc.) as part of the inspection. If the employer has conducted an exposure assessment, compliance officers should review the assessment to determine what levels might be expected before entering any work area. Compliance officers should also interview affected employees, including the competent person, as part of the overall assessment of the employer’s implementation of its silica control plan. Where the construction employer is fully and properly implementing the engineering controls, work practices, and respiratory protections specified in Table 1 for each employee engaged in listed tasks, there is no requirement for the compliance officer to collect personal air samples for those tasks. In this situation, compliance officers will be focused on determining if the controls are fully and properly implemented. Where the construction employer: (1) has employees performing a task or using equipment that is not listed in Table 1; or (2) has not fully and properly implemented the engineering controls, work practices, and respiratory protection listed in Table 1 for all employees engaged in Table 1 tasks, the compliance officer must still collect personal air samples to determine if exposures exceed the PEL. The memorandum gives further guidance regarding the standard’s requirements for respiratory protection, housekeeping, written exposure control plans, and medical surveillance. However, the overall emphasis to compliance officers – and contractors as well – is ensuring that appropriate engineering and work practice controls are fully and effectively implemented at the worksite. With the rule in effect and enforcement beginning, contractors should be well on their way to full compliance. At this point, contractors should have reviewed their silica-producing tasks and determined whether they fit within Table 1 or will be controlled through alternative means. For those instances where Table 1 cannot be utilized, exposure monitoring should be arranged to identify the extent of exposures with implementation of alternative controls. In addition, all contractors should have developed written exposure control plans for their worksites. As set forth above, compliance officers are instructed to request and review an employer’s written exposure control plan when conducting an inspection. Make sure that your plan is developed, up-to-date, and that your supervisors are familiar with its contents. And finally, continue to keep abreast of new guidance from OSHA on compliance with the rule. OSHA is continually putting out compliance assistance material and new enforcement information that can help keep employers citation free. The time is now! 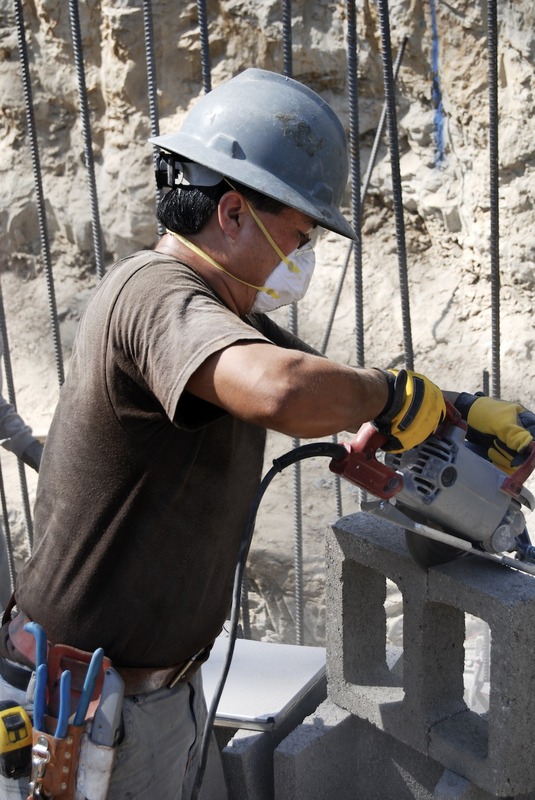 OSHA’s silica standard is here to stay – make sure that you are fully compliant!